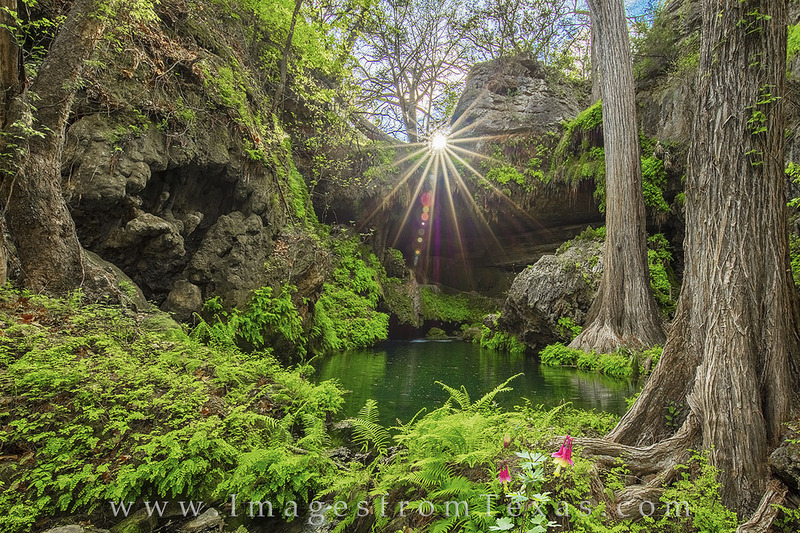 The sun sets over the grotto at Westcave Preserve in the Texas Hill Country. In the foreground, red columbine (Aquilegia canadensis) grows in the lush, wet area of this beautiful oasis. While only open to the public via a scheduled tour, this is a location worth visiting. I was fortunate to shoot for Westcave’s marketing a little later in the evening in order to catch the sunburst. Photo © copyright by Rob Greebon.